CBBC will host a roundtable meeting with a delegation from Shenzhen led by Trade Development Bureau, Ministry of Commerce, PRC. The delegation is looking for potential business opportunities with British corporations and strengthening the relationship between Shenzhen Industrial Design Profession Association (SIDA) and CBBC. Shenzhen is a major city in Guangdong Province, China. 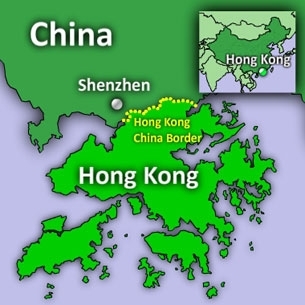 Shenzhen is located immediately north of Hong Kong Special Administrative Region. Shenzhen Industrial Design Profession Association (SIDA) is a non- profit organization founded in 2008, primarily supported by Shenzhen municipal government as a first-class industry association. For more information, please see Shenzhen Company Profiles. Weijun Li Deputy Director Trade Development Bureau, Ministry of Commerce, PRC. Yanyan Luo Deputy Director Trade Development Bureau, Ministry of Commerce, PRC. Jiuzhou Zhang Designer Shenzhen XIVO Design Co.,Ltd. Bin Ye Designer Shenzhen Chuangwei-RGB Electronic Co.
Feixiang Fang Designer Shenzhen Chuangwei-RGB Electronic Co.